Robin Williams didn’t just touch the lives of millions of people; he also touched the lives of animals. 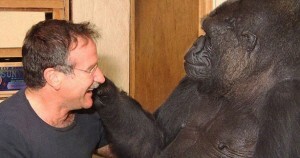 Back in 2001, the actor had the pleasure of meeting Koko, one of the world’s smartest gorillas who communicate in sign language, at The Gorilla Foundation in Woodside, Calif., for a video shoot. They hugged, wrestled, and even got into a tickling fight. To summarize: They quickly bonded. Just like the millions of people who were devastated by the news of the 63-year-old’s passing on Monday, Aug. 11, Koko couldn’t help but mourn when she heard the news. She was with Patterson, who broke the news to her. “After the first call, Koko came to Dr. Patterson with an inquiring look on her face. Dr. Patterson explained that ‘we have lost a dear friend, Robin Williams,’” the foundation’s press release reads. 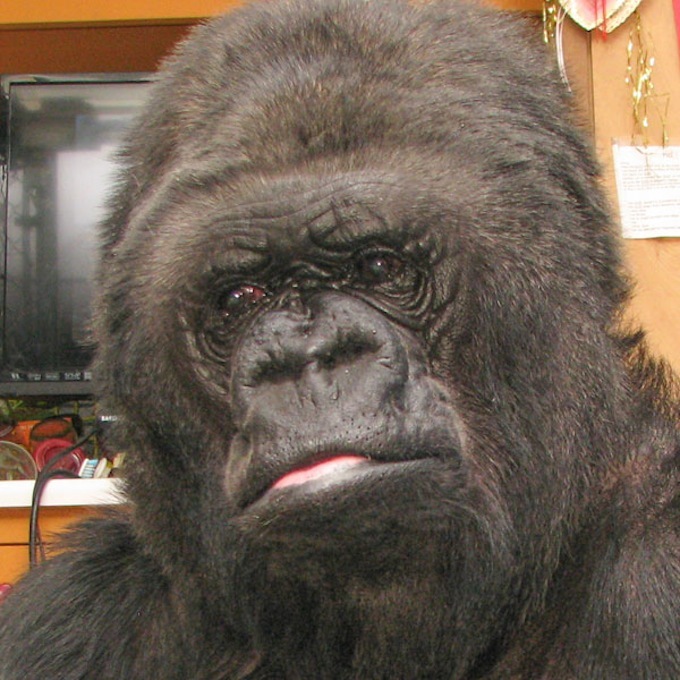 “Koko was quiet and looked very thoughtful,” the press release continues. See the photo below. 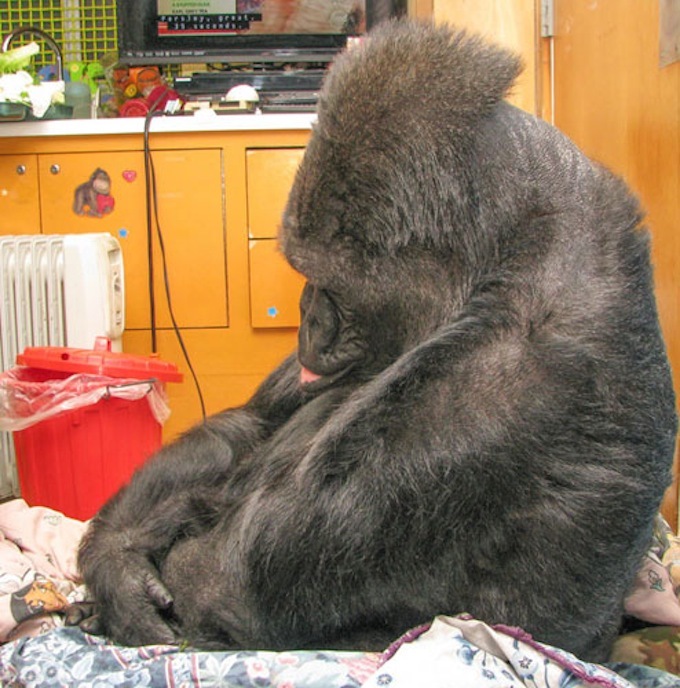 “At the end of the day, Koko became very sombre, with her head bowed and her lip quivering.” See photo below. For Koko, now 43, these memories will live on forever.